Today’s cars and trucks last longer than ever. They are generally more trouble-free than ever before, also, and the best way to keep them that way is the automotive equivalent of a physical. Just as your doctor checks over your systems and structure, your dealership’s service department will look over your vehicle with expert eyes. Don’t wait until a “Service Engine Soon” warning pops up on the instrument panel or a tire blows out. By then, it may be too late to avoid an expensive repair or considerable inconvenience. Prevent problems on the road with a spring checkup. Here are some items that should be included. Electrical System: Your car’s battery and alternator should be checked to be sure the charging system is up to snuff, the battery is within its serviceable lifespan and has enough reserve, and all cables and connections are clean, tight, and corrosion-free. Belts should also be checked for tightness, cracks and excessive wear, as a broken belt will stop you in your tracks. Tires and Wheels: Whack a few killer potholes lately? Modern tires are also better than ever before, but you need to keep an eye out for problems that can lead to tire failure. Have a trained technician examine your tires for cuts in the tread or sidewalls, bulges, bubbles, dry rot, signs of belt separation or other problems that could leave you stranded, and make sure tires are properly inflated. Wheel damage is common, too, so be sure to include them in the inspection. Suspension and Alignment: At the same time your tires and wheels are inspected, your suspension and wheel alignment should also be examined. Shock absorbers can fail, steering components can bend or become loose, and bushings can wear out. Winter conditions can be hard on the parts designed to support you, as can rough roads or frequent trips into the back country. For predictable handling, even tire wear and maximum fuel efficiency, it’s important that all four wheels––not just the drive wheels–– are properly aligned. If you can’t remember the last time you had it done, now is the time to have an alignment performed. Your tires will last longer and you’ll avoid spending the extra money at the pump that can result from misaligned wheels. Fluid Levels and Filters: Because today’s cars can click off tens of thousands of miles without problems, it can be easy to forget about checking, topping off and replacing its vital fluids. Coolant and brake fluid both have finite lifespans and require replacement, as indicated in your owner’s manual. Your dealership’s technicians have special tools to check the age and protection level of the engine coolant, and they’ll also have the coolant specified by the manufacturer for use in your car. Brake fluid needs attention as well, and your routine driving conditions––frequent towing, heavy stop-and-go driving, etc.––can make it necessary to have these systems serviced more frequently than indicated in the manufacturer’s basic schedule. Spring is a great time to treat your car to an oil and filter change. Whether it’s hot or cold where you live, idling a lot, sub-zero temperatures or excessively hot conditions can all degrade engine oil, leaving delicate components more vulnerable to premature wear and corrosion. Moisture and acids can build up in the oil, as well, so getting it changed in the spring ensures proper protection. 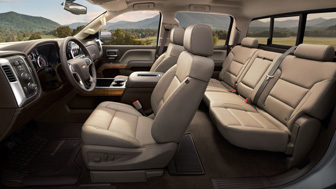 Don’t forget to have the engine’s air filter and, if equipped, the cabin air filter checked and replaced if needed. Also remember that necessary chassis lubrication is part of the usual “L.O.F.,” or “Lube, Oil, Filter,” service. Those parts are especially susceptible to wear and corrosion, whether salt is used on the roads where you live or not. As the seasons change again, it’s a great time to rejuvenate your automobile. Good planning and preventative maintenance can ensure a worry-free summer ahead. The Chevrolet Camaro has been the leader in its segment for five years thanks to exhilarating performance, iconic styling, outstanding refinement and great value. To capitalize on that success, Chevrolet engineers listened to the input of thousands of fifth-generation Camaro owners to find areas for improvement. As a result, the sixth-generation 2016 Camaro, available soon here at Jack Maxton Chevrolet in Worthington, Ohio, is faster, more agile and more aerodynamic, with all-new architecture, lighter weight and all-new powertrain options. The redesigned, rear-drive 2016 Chevrolet Camaro will offer six new powertrain combinations, including a new 2.0-liter Turbo four-cylinder generating 275 hp, 295 lb/ft of torque and more than 30 mpg highway; an all-new 3.6-liter V6 with 335 hp and 284 lb/ft of torque, the highest hp per liter of any naturally aspirated V6 in the segment; and, in the Camaro SS, a mighty 6.2-liter LT1 V8 (introduced on the Corvette Stingray), which cranks out 455 hp and 455 lb/ft of torque and makes the new SS the most powerful one ever. Technologies like direct fuel injection and Active Fuel Management help these powerful engines return impressive fuel economy. Four-cylinder and V6 engines can be paired with either a six-speed manual transmission or an all-new Hydra-Matic eight-speed automatic with paddle shifters. The LT1 is matched with the six-speed manual with Active Rev Match technology, which matches engine revs on downshifts. To please the ears, V6 and V8 models feature resonators that direct carefully engineered engine sound through the cabin. The dual-mode exhaust system can be personalized, from a quieter stealth mode to an aggressive track mode. Four-cylinder models gain added refinement from Active Noise Cancellation, which uses sound waves to cancel unwanted interior noise. Only two parts carry over from the fifth-generation Camaro to the new one – the rear bowtie emblem and the SS badge. The new platform is stiffer, and the new model is up to 200 pounds lighter than the previous generation. The all-new 2016 Camaro exterior is more sculpted and muscular, with a lower and wider fastback profile. New headlamps, LED daytime running lamps and LED taillamps blend the iconic style of the first-generation 1960s Camaro with a contemporary, technologically advanced look. The Camaro is extremely aerodynamic as well, the result of 350 hours of wind tunnel testing, helping reduce drag and unwanted wind noise, and improving downforce for stability at high speeds. To make the Camaro handle with more agility than ever before, structural rigidity in the body was increased by 28 percent, and the significant weight reduction was achieved thanks to widespread use of aluminum components. Every Camaro comes with a new, Camaro-specific multi-link MacPherson strut front suspension system and five-link independent rear suspension. Available for the first time in the Camaro SS, Magnetic Ride Control active suspension reads road conditions 1,000 times per second and reacts instantly to optimize ride comfort and control. An all-new Drive Mode Selector tailors the performance of up to eight vehicle attributes using a choice of four settings: “Snow/Ice,” “Sport,” “Tour” and “Track” (SS models). To help the Camaro stop with as much authority as it accelerates, Brembo brakes optimized for the Camaro are available across the line and are standard in the Camaro SS models. 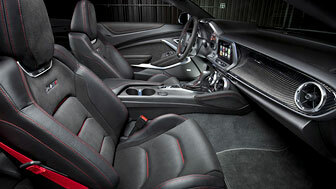 The 2016 Chevrolet Camaro interior is also completely new. The driver-focused cabin features a flat-bottom sport steering wheel, unique control rings around air vents and an available, segment-first LED ambient lighting system with 24 colors, fade and transition effects integrated in the dash, door panels and center console. The instrument cluster includes analog readouts and an available dual eight-inch diagonal center screen to display performance, navigation and infotainment settings. The 2016 Chevrolet Camaro will be available later this year with 10 exterior color choices, five interior color combinations and a full list of available accessories through the dealership. Stop in today and sign up for updates, so you can be among the first to test-drive the new 2016 Camaro. 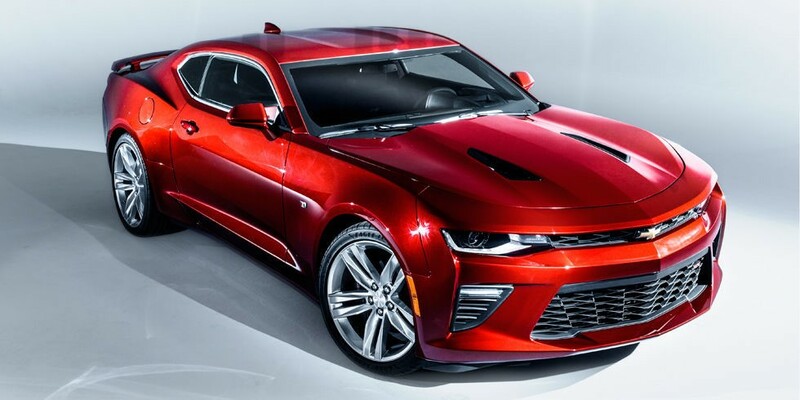 DETROIT — Chevrolet will offer a convertible version of the redesigned 2016 Camaro with a fully automatic top that can open or close at speeds up to 30 mph. General Motors bills the Camaro’s drop top as “the most sophisticated top in the segment,” with latches that automatically release and secure the top. 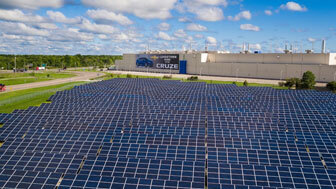 The car was unveiled Wednesday by Chevy global chief Alan Batey at an event here. Layers of acoustic and thermal barriers built into the Camaro’s electro-hydraulic roof are aimed at dampening road noise, GM said in a statement. 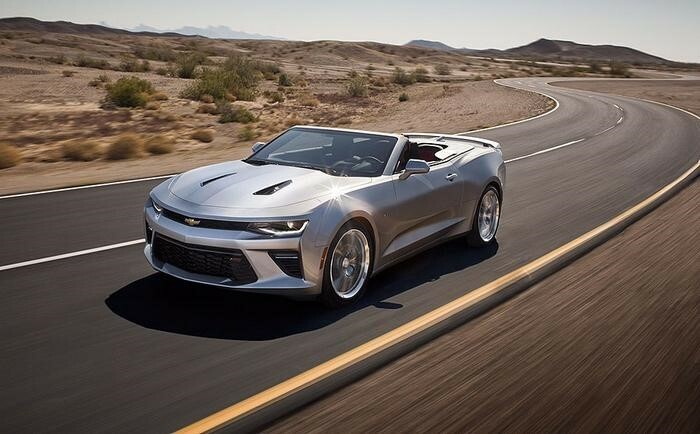 “Customers will appreciate what they don’t feel: quivers, cowl shake or an under-damped chassis typically found in a four-seat convertible,” said Al Oppenheiser, Camaro chief engineer, in a statement. The drop-top Camaro will arrive in early 2016, a few months after the fourth-quarter launch of the sixth-generation coupe. The convertible accounts for 40 percent of all Camaro sales in the U.S., Chevy says. Designers said the top folds completely down beneath the car’s belt line and will be covered automatically by a hard tonneau cover. Most convertibles require the tonneau cover to be positioned manually. It’s not the first time Chevy has offered an automated top for the Camaro convertible. The drop top for the Camaro’s first model year, 1967, came with a power-operated top as a $52.70 option. GM says nearly half of buyers sprang for the option over the standard manual top.